Blending Amblance Luxury. Our latest mantra to green living: Located off Kanakapura main road, aesthetically planned, right at the heart of nature. Amidst sprawling, untouched green scapes that has made Bangalore earn its pride as "Garden City". Sumo Krupa Temple View. truly a place you'll love to come home to. It is just 1.5 kms from the upcoming Metro Railway Station (Kanahapura Road) far away from the hustle & din, yet in close proximity with parks, shopping malls, engineering colleges & other educational institutions. 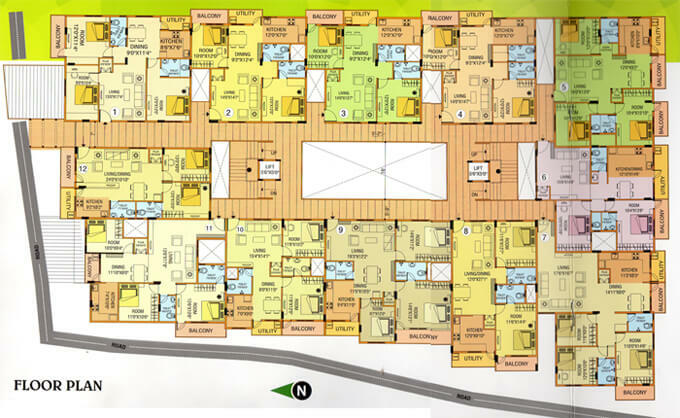 We have Ready to Occupy 2 BHK Apartment in Kanakapura Road Bangalore. Our experience of over two decade goes a long way in flawless, perfect and punctual execution. 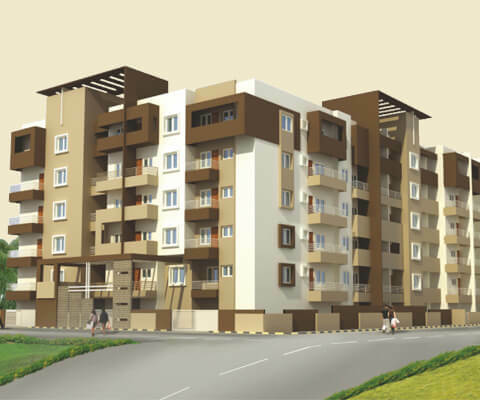 The projects is backed by integrity, credibility and built on trust for sale Residential Apartments in South Bangalore. The promoterswith the intension of developinsg a living and working spaces that are self-sustaining, environmentally responsive, culturally advanced, easy to maintain. focused on lifestyle and timeless in appeal. To achieve our vision of sustainable development by combining today's technologies with our age old values of trust, integrity, efficiency and utmost transparency. Good quality vitrified tiles for Living, Dining, Bedroom. Kitchen. Corridor & staircase will be of granite flooring. Toilets & balconies are of anti-skid tiles. Granite top platform with stainless steel sink. Windows are of two-track powder coated alluminum sliding windows with security grills.